Li Bingbing in "Seventeen Years"
“Seventeen Years” functions on several levels, failing on all of them. It raises questions about the rapid modernization of China in 2000 but attempts no answers. Tao Lan is part of an uneasily blended family and feels unloved, unattractive and ignored by her mother and stepfather in favor of her pretty and outgoing stepsister Yu Xiaoqin. Tao Lan is deeply unhappy and desperate for love while Yu Xiaoqin is the almost archetypal mean stepsister, taunting her and getting her in trouble with the adults. In a fit of rage Tao Lan smashes her with a brick and killing her. This is followed by scenes of arrest, trial and sentencing to the accompaniment of wailing from her remaining family. The uncinematic and inartistic scene setting is only notable because it leads to an inter-title card with “Seventeen Years Later” printed on it. This is lazy filmmaking raised to an art. However it does the job and we are now watching Tao Lin as an exemplary prisoner shown the error of her ways and the path to rehabilitation (and maybe even a job at Foxconn) by a benevolent warden. 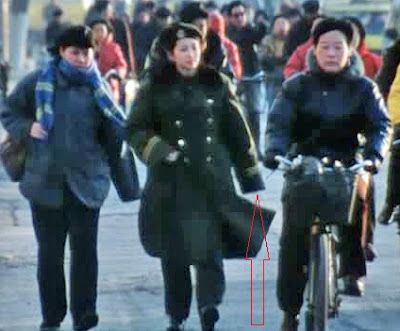 One of her key aides is Captain Chen Ji, Li Bingbing for whom the costume department has found a prison officer’s uniform several sizes too large. This is no Women in Prison movie: when inmates file into the communal bathroom they simply wash their hands and faces instead of more typical WIP fare, stripping off and soaping each other down. 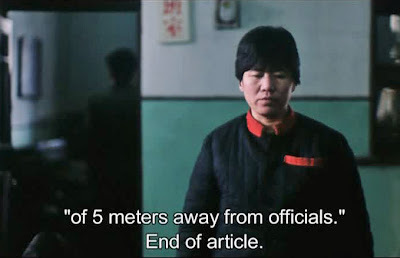 “Seventeen Years” is propaganda for the benevolent prison system of the PRC in the same way that socialist realism was about the happy tractor plant workers in the Soviet Unions in the 1930s. One might call this state capitalist realism but it is no less ideological nor any more artistic than the “girl meets tractor” classics from the USSR from 80 years ago. The two parts of the movie—the re-education and redemption of one of China’s erring daughters jammed into a lachrymose family melodrama—don’t fit together. It is as if a World War II armed forces anti-VD documentary was inserted into a weeper based on a Nicholas Sparks novel. 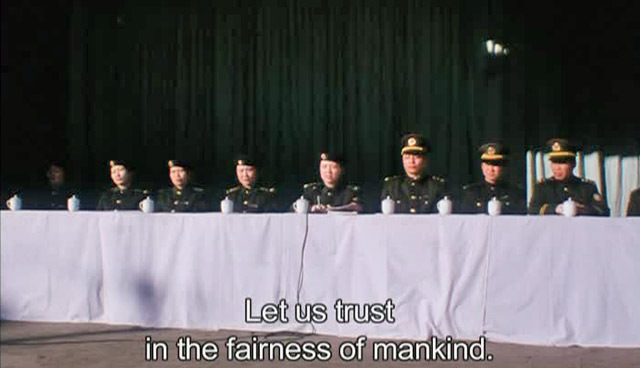 Zhang Yuan directed and edited. Since he did the astonishing “Green Tea” a couple of years after “Seventeen Years” the structural clumsiness wasn’t due to any lack of talent. The lack of psychological insight shown by the main characters is so striking that it must, on some level, be done purposefully. When, for example, the miserable Tao Lan, accompanied now by Chen Ji finds that her former home has been demolished and her mother has moved she wants to give up and go back to prison. The stern Captain Chen tells her that “this isn't about choice--you were rewarded by the state. Do you know what that means? Have we wasted all these years of re-education?”. Not that surprising since the inmates released for short holiday furloughs have to show they have memorized the prison rule book and are able to recite it before they are allowed to leave. There are some decently done scenes, particularly of crowds at the train station as the huge holiday migration of Chinese workers (in this case prisoners) starts up, with touching scenes of reunion taking place in the foreground and background while Tao Lan wanders helplessly without anyone to pick her up. Recommended only for those who want to see Li Bingbing as a party apparatchik with a heart of gold and a uniform that doesn’t fit. Giorgio Armani and his many Armani brands remains exuberantly successful throughout Asia and particularly in China where sales grew by 45% last year over 2010. His “One Night Only In Beijing”, a special fashion show with 15 Armani Privé pieces (ultra-luxury couture, if you have to ask you can't afford it), created especially for the event along with some highlights of the more downmarket (pieces cost thousands of Euros instead of zillions) collections from the Emporio Armani and Giorgio Armani labels. He pulled together a real murderer's row of Chinese movie stars: Fan Bingbing, Shu Qi, Kwai Lun Mei, Michelle Yeoh, all the Chinese top models in town and put on quite a show. But almost cracks a smile. 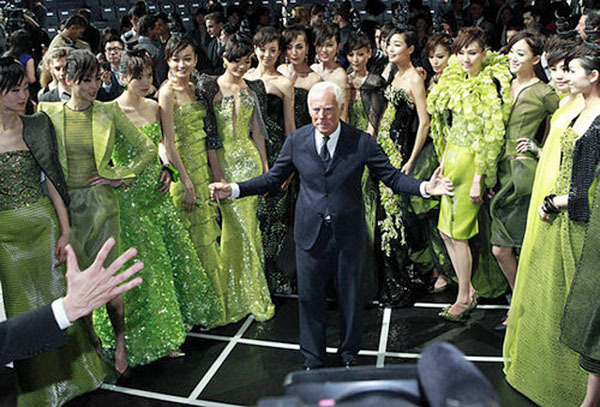 Assuming the Chinese economy doesn't implode Armani should prosper. It has its mono-brand boutiques and selling points in 50 major cities across the PRC and adds selling space all the time. Like Willie Sutton or Woodward and Bernstein, he goes where the money is. From Webs of Significance which is always worth reading but especially on the anniversary of June 4, 1989. Maggie Cheung, having just disposed of yet another European artsy type (architect Ole Scheeren) appeared with a very eclectic bunch that Montblanc, seller of luxury watches, pens and other doodads, pulled together for the opening of a huge new store in Beijing. 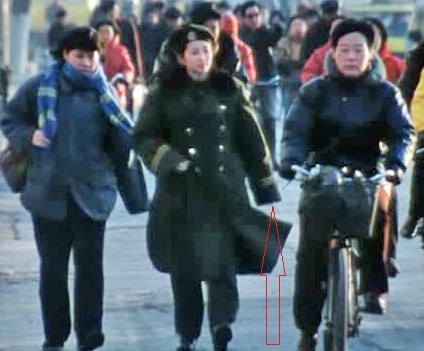 For those interested the reason Maggie gave for the split with Ole is that he was based in Beijing and she couldn't get there often enough to sustain a relationship. This is either dripping in irony (Why did you break up with your Chinese girlfriend? 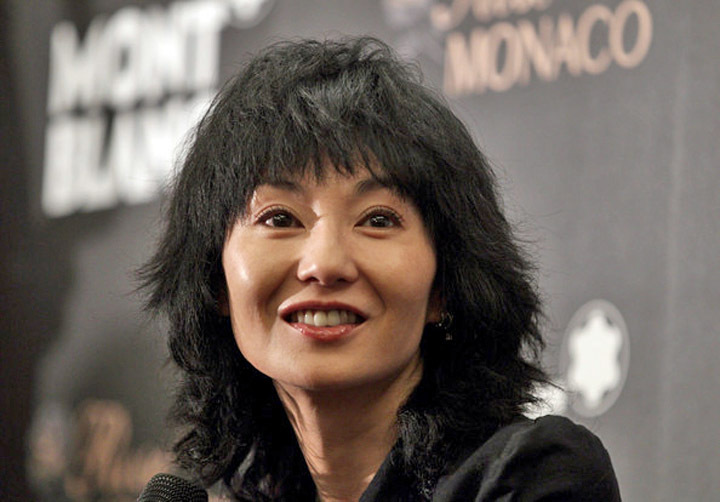 She thought I was spending too much time in China) or a comment on the effects of globalization on the lives of the bourgeois--or just a throw-away line by Maggie Cheung. That's Naomi Watts, Montblanc International CEO Lutz Bethge, Nic Cage, Jessica Alba, CEO of Montblanc Asia Pacific Jim Siano and Maggie Cheung. Nic Cage brings heterogeneity to almost any gathering and stands out here in a suit with a too-short jacket that looked as if he stopped at a Beijing Men's Warehouse on the way to the event. Maggie Cheung sweeps into view. 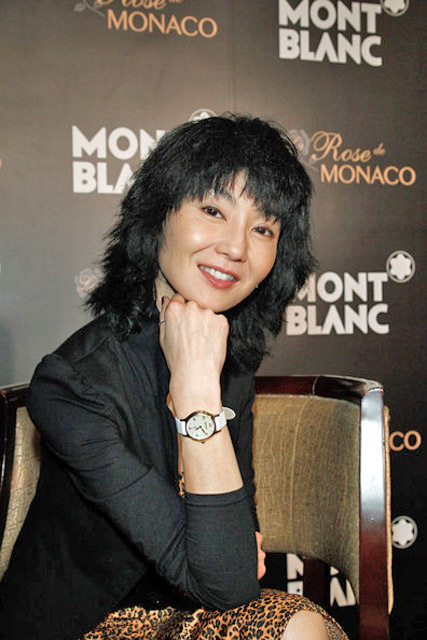 Lynn Xiong takes her place between the Montblanc execs. Jim Siano (the tall guy) has the classic "left the hanger in his tuxedo jacket" look. Maggie Cheung gives a masterclass product placement. It is tempting to say that she is still as incandescent as in 1996 during the shooting of Comrades, Almost a Love Story.